As the founder of Equine Answers I am writing to you here as a horse owner and as such I know how we all care about looking after our horses in the best possible way. To this end you can rest assured that all of our horse supplements and feeding products contain the very best ingredients to optimise their effectiveness. Many companies cut corners in equine supplements by using cheap ingredients and cheap fillers in their products. This is not the way Equine Answers operates. 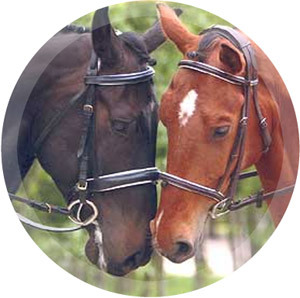 We source the very best ingredients to produce what believe to be the best horse supplements in the marketplace today. For example our Premierflex joint supplements include very expensive ingredients such as Hyaluronic Acid and Chondroitin Sulphate at high levels but unlike some manufacturers we don't price it out of your reach. We know that owning horses is an expensive business and with this in mind our philosophy is to produce top end products that are affordable to all.